Modern pomade is made using a base and a wide range of additions. The hold supplied by pomade is dependent on the bases used. Most pomades have a base of lanolin, petroleum jelly, or beeswax. These materials hold your hair in place because the base attaches to your hair molecules and each other. That allows for the hold, styling, and hair shaping you know and love. The first pomades were actually made out of lard or bear fat. Thankfully, a modern Don Juan doesn’t have to hunt a bear to achieve the look they want. Thicker pomades with wax or clay bases hold your hair more firmly but are much more difficult to wash out. The properties of the pomade base determine the type of hold and whether or not it can be reactivated. 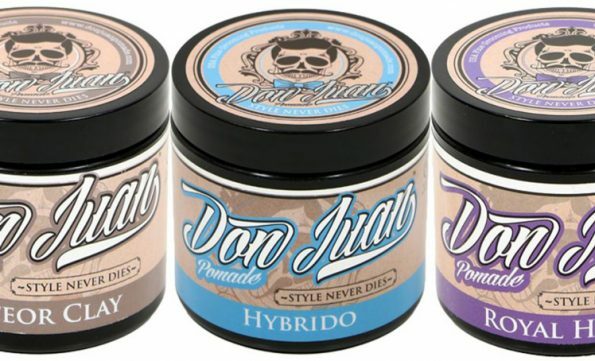 Water-based pomades like Don Juan’s dry quickly in order to keep your hair secure. They reactivate with water, though, which makes them easy to restyle or wash out. Hold – This tells you how firm the hold of the pomade will be. The same pomade base can provide a different hold by adjusting the base levels. That’s how a water-based pomade can provide a medium hold in one tin and a super-strong hold in another. You’ll want to pay attention to the base-type. Glycerin will typically provide a lower-hold level (Which can still be extremely strong). Water-based clay will provide an extreme hold while still washing out easily. Wax delivers a strong hold and will take multiple washes to remove. Shine – Shine determines how the pomade will affect the color/reflectivity of your hair. Most glycerin-based pomades will provide a medium-high shine. Clay and wax-based options are more often labeled as “matte.” Matte won’t have a shine to it. That doesn’t mean matte is dull. In a pomade it just means your natural hair color will come through without the typical glisten, or shine, you’ll get with a non-matte option. Which pomade is right for your hair type? Curly or Wavy Hair – If you want to tame your curls, the best option is a strong hold. Our hair grease can be applied to dry hair, and will deliver a water-resistant hold capable of mastering the most unruly hair. 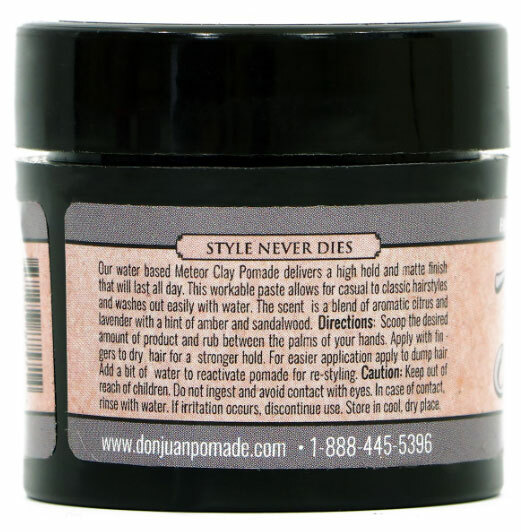 Our meteor clay pomade provides an even stronger hold but maintains the ability to restyle, and easily washes out with water. Thick Hair – Thick hair needs a tight-hold if you’re going for a shaped look. Small spikes can be achieved with a medium-hold, but people with thicker hair should stay away from light-hold pomades. These just can’t hold longer or thicker hair together once they dry. Long Hair – Longer hair can be difficult to master, especially when you want a sleek pulled-back look. We recommend a medium-hold. Thicker pomades can turn long hair into a solid, completely eliminating natural bounce. Of course, if you’re creating spikes then a clay-based pomade is the only way to go. Short Hair – Short hair benefits from a light or medium hold. Stick with glycerin water-based pomades unless you want extremely tight spikes. Because there is less pull as shorter hair naturally sticks up straighter, you won’t need as much pomade to achieve the look you want. Fine Hair – You’ll want to keep your hair as light as possible. Weighing down hair with waxes will keep your fine hair from achieving the volume you want. 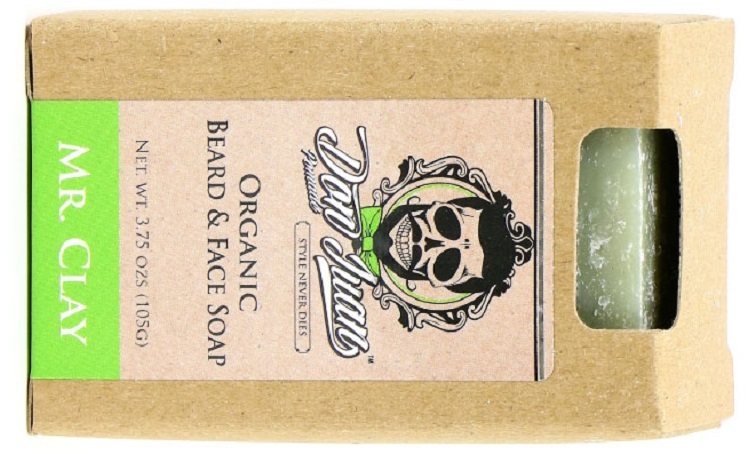 Stick with water-based pomades. Our hybrid pomade provides the best of both worlds, delivering a strong hold without the weight associated with clay or wax. Just the right amount of pomade. How much pomade do you use? That depends on how much of a hold the pomade delivers, and how you are styling your hair. We recommend a teaspoon sized amount to start. You can always add more if it isn’t enough, but washing out excess pomade and restarting the process isn’t fun. Massage the pomade between your hands, evenly coating your palms. You want an even coat in order to avoid clumps. If you don’t have that even coating, you’ll quickly end up with one section of hair that has too much and wants to sit completely differently from the rest. Massage your hair. There are different schools of thought. Some people go from the sides or bangs first, but traditionalists always start at the back and work their way forwards. You’ll want to evenly apply the pomade so work from the root of the hair upwards. This will keep your hair from clumping. Style accordingly. Your style is eternal, and how you proceed is entirely up to you. If you’re having trouble with specific sections of hair misbehaving (like the hair around a part), then work a little more pomade into the trouble areas. This can add the extra grip you need to keep the rebels in line. Water-based pomade: This one is easy. Water-based pomades are water-soluble. That means you can wash them out with nothing but warm water and your favorite shampoo. This can keep you from stripping natural oils from your hair. 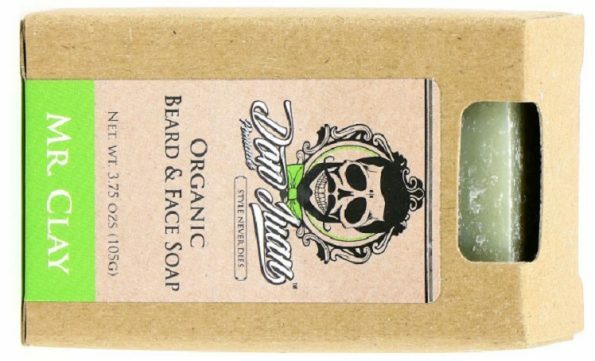 Wax/Clay/Oil-based pomade: How do you wash out the tough-stuff? You can skip the expensive shampoo all day long with this little tip. Start with olive oil: You’ll want to rub olive oil into your hair. Go all the way to the root and make sure the hair follicles are thoroughly covered. Do not wash it out until the olive oil is evenly distributed throughout your hair. Rinse: Rinse all of the olive oil out of your hair using warm water. Run your fingers through your hair in order to thoroughly rinse. Finish with dishwashing liquid: Dish soap contains surfactants that will remove any olive oil that is left behind. These same surfactants also remove leftover wax, oil, and clay. Just like we did with the olive oil, massage the dish soap in thoroughly and make sure you get the roots of your hair. You may have to perform this step several times to wash all of the pomade out of your hair. Rinse and Condition: When you’ve rinsed out your hair for the final time, feel it to ensure the grease is entirely gone. Dish soap is effective, but just like the over-the-counter degreasing shampoos, it can strip the natural oil from your hair. Make sure to condition afterward with a conditioner designed to replenish your hair’s natural oils. 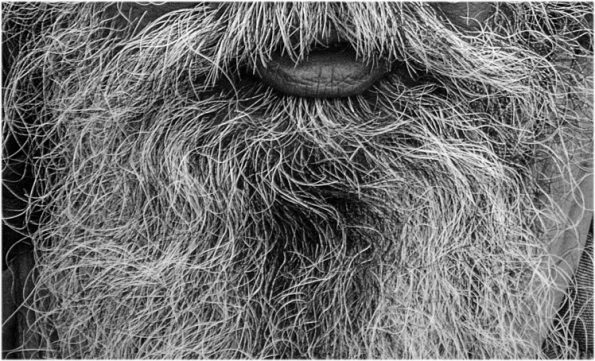 You may also consider rubbing in some beard oil. Beard oil is designed for thinner, more delicate hair and can provide protection without the weight or greasy feeling that comes with some conditioners. How often should you wash pomade out of your hair? There is no hard and fast rule, but regular hair shampooing recommendations are every three days or so. If you style your hair regularly you’ll want to experiment. 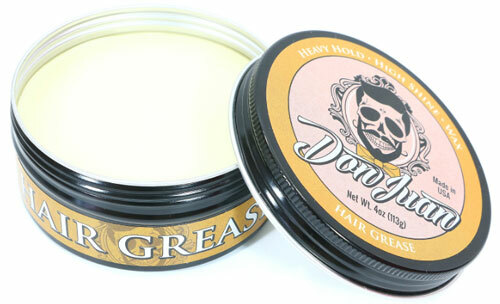 Many pomade users only de-grease once a week but may rinse and condition their hair every 1 to 3 days. We don’t recommend de-greasing regularly. Whether you use degreasing shampoo or the old olive oil and dish soap trick, you’ll dry out and damage your hair if you do this too often. Does Pomade cause hair loss? The short answer? No, pomade does not cause hair loss. You lose between 100 and 200 hairs on a daily basis. This is completely natural. Pomade can cause these hairs to pull out and stick to your hands, making it seem like you’re losing an abnormal amount of hair when you aren’t. What are the actual culprits? Avoid products that dry out your hair: Products that contain alcohol are one of the most drying. If you over-shampoo you can also strip off the oils that your scalp naturally produces in order to protect your hair. Avoid treatments: Chemical treatments are not good for your hair. Straighteners are one of the leading causes of hair damage. They break bonds that cause hair to curl. That means you get straighter hair, but it is also structurally weaker. Dye, especially over the counter dye, can also weaken and thin your hair. It is a known cause of scalp irritation. Can pomade damage your hair? Once again, you don’t have to worry. Hair is not alive, so there is no way that a leave-in product can actively damage it. Next to genetics, scalp irritation is the biggest factor when it comes to hair loss due to damage. This is impacted by your overall hair-care regime, so avoid over-washing your hair and drying it out unnecessarily.